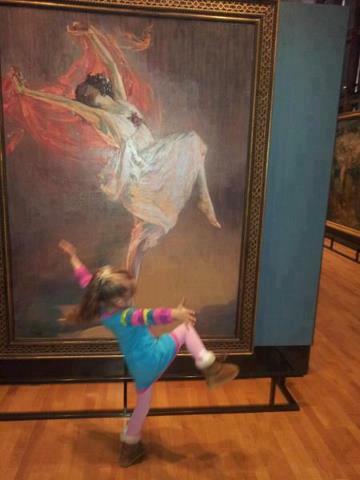 This is why art is important. It’s big news in the ballet world. Christian Spuck, formerly resident choreographer of the Stuttgart Ballet, is the new artistic director of Ballet Zurich. The expectations of his debut production of “Romeo and Juliet” were sky high. 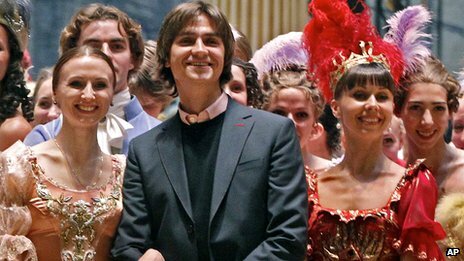 The artistic director of Russia’s Bolshoi Theatre, Sergei Filin, is being treated in a Moscow hospital for severe burns to his face after a masked man threw acid in his face, police say. According to the Bolshoi statement, the assailant shouted to Mr Filin as he was approaching the entrance to his apartment block, then threw acid in Mr Filin’s face. Read the full article on the BBC web site here. The 41st annual Prix de Lausanne English trailer. The Royal Ballet’s top dancers wear quirky accessories and clothes by young British fashion designers in a new series of unconventional portraits. Marianela Nuñez, who makes her debut in Onegin this month, has been captured as if in a Biba advert, wearing a head-piece and bejewelled outfit. 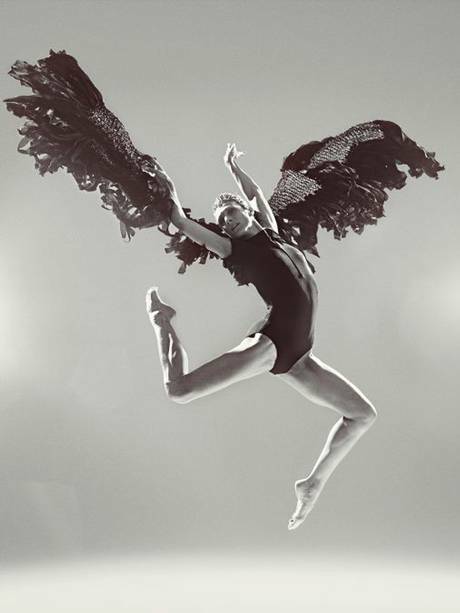 And Sergei Polunin who dramatically walked out of the Royal Ballet last year and who will return as a guest artist to dance with Tamara Rojo as part of the Frederick Ashton mixed programme next month, can be seen flying through the air wearing a knitted leather neckpiece. Now Is All There Is – Bodies in Motion, The Gallery at The Hospital Club, London WC2 (www.thehospitalclub.com) 25 to 27 January 2013.